Not having a mynah, I can not speak with any degree of authority, but I suspect that they are similar to parrots in regards to toys, meaning that if you don't teach it what a toy is that it does not now what it is or how to use it. 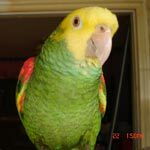 The best way that I know of to teach this to a parrot is for you to play with it in front of your bird enough to get its attention and then offering it to the bird. It may take multiple times for this to work, but it usually does. Another thing that come to mind is that mynahs are probably of such a nature that they like solving puzzle type toys, so consider some of the foraging toys that they have to figure out how to open doors or drawers or other of the more complex foraging type toys. The closest that I have ever had to a mynah were two different birds that were wild, one was a blue jay and the other was a crow, they both also liked shiny things which they would take and place in their nest. I mention this as you might want to consider putting an extra bowl in his cage with some shiny bird safe items in it so he has a place to place his treasures. Myrtle's first toy was a ring of bottle caps that I put together. After 5 years she is still into bottle caps that are child proof. They have linings in the caps that she likes to take out before she chews on it. parry wrote: I want to buy a minah. Are they expensive? It depends on where you live and the range goes from $250 to $600 but these are not easy birds to keep so, unless you have good experience on doing research, have a good working knowledge of dietary issues and are willing and able to prepare food, it's not really recommended.